Beautiful picture, where was it taken? is it in the book? Tzig, this is what keeps us coming back. keep trucking! In Congress Poland, it was the norm for all the chasidim to wear kashketlach during the week. 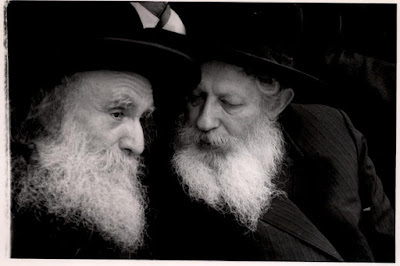 Proper hats were worn only by Rebbe's, Rabbonum and other klie kodesh. There are many pictures of the Bais Yisroel Ztl wearing a kashketal before the churban. After the War it seems the styles changed, and by Polisher chasidim hats were now worn. 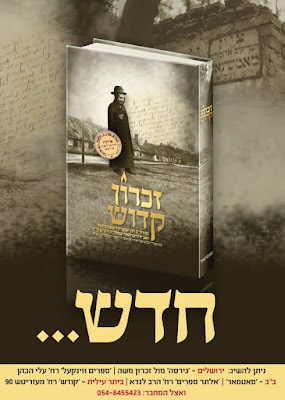 עס ווערט געזען זיצענדיג אביו האדמו"ר רבי איציקל מאמשינוב זצ"ל און נאכדעם הרב פיקארסקי זצ"ל. כ"ק אדמו"ר מ... שליט"א בעת שמחת הבר מצוה שלו. "Very starnge to see a BM bucHER (even rebbish) wearing a kolpik when his dad wears a spodik. Never seen that in my life. Come to think of it it ITS starnge"
Not really, and BTW in ger they always said selichos early in the morning, The current her rebbe started to say selichos on motzei shabos, he said I like it better.. well?